This scarf looks very different on its different sides. On one, the ribbing is the main feature. On the other, the lace lends a feminine touch. The lace, truly reminiscent of the little fountains it is named for, is easy to knit, but with elegant results. 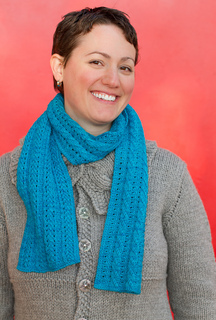 The diagonal ribs are a lovely replacement for cables, and are made without the need for a cable needle. 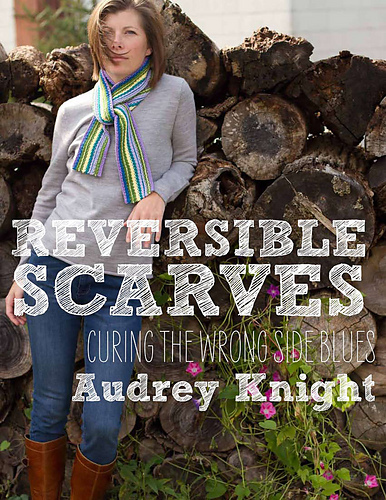 Look in the book for pointers on how to design your own reversible scarves using ribs, lace and cables!